De Flow is associated with internationally recognised measurement engineers undertaking metering system design. 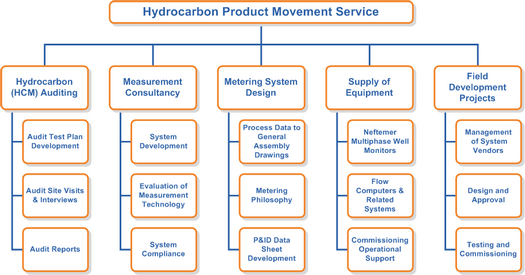 The following diagram shows the many varied aspects in providing a comprehensive hydrocarbon product movement service. De Flow, together with our associates, can handle all aspects shown in the diagram. 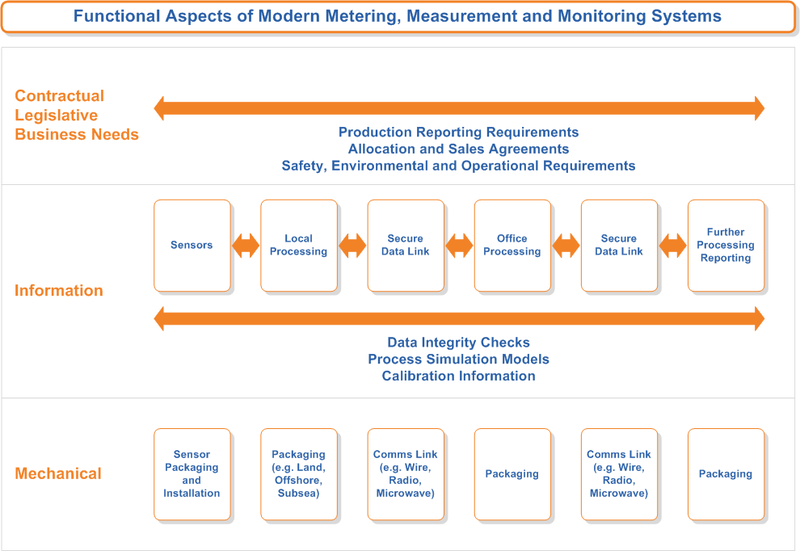 We consider that modern metering systems are best considered as information providing systems which can use a variety of equipment to provide the required information. 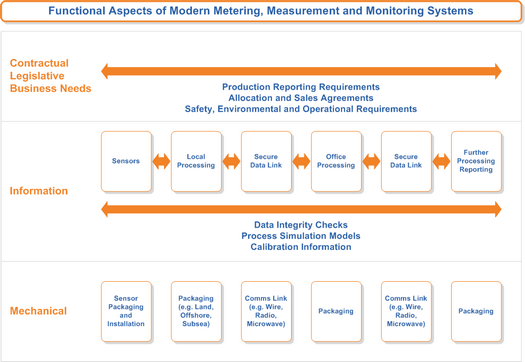 We use the following diagram to illustrate our approach to analyzing any metering or measurement system for any business entity. The top part of the diagram deals with the system requirements, regulatory, contractual, safety, environmental etc., defining what the system must do. The middle part deals with the information flow from the sensors in the field, through data processing in the field and in offices, through to final reporting. The bottom part deals with the specific equipment at each stage in the information processing. 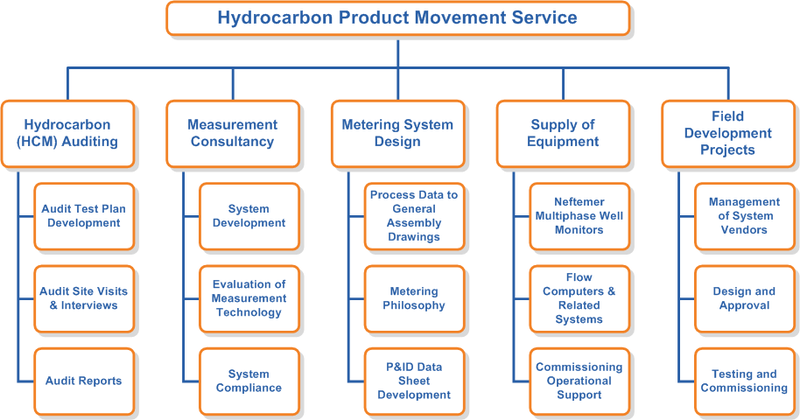 In a large system, such as any pipeline system which has developed over many years and a variety of equipment may be used to achieve the functionality.